Planetary systems - Solar System Planets And Moons Section. 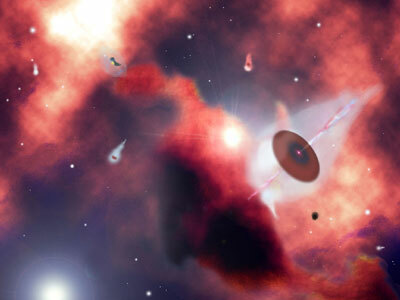 Newly forming planetary systems would just get torn apart. Planetary Systems Can Form in Hellish Surroundings. In the brutal environment of the Orion Nebula, where temperatures soar to 10,000-degrees C (18,000-degrees F), and the stellar winds blow at 3.2 million kph (2 million mph) you'd think that newly forming planetary systems would just get torn apart. But according to new research using the Submillimeter Array on Mauna Kea, Hawaii, Astronomers have found that protoplanetary systems can actually hold onto their dust and form planets, despite their stormy environments.